Do you have difficulty maintaining casual eye contact with people during conversations? Is it even worse if that person is new to you, or in a position of authority, or attractive? Do you wish you could find a way to relieve that pressure and confidently look other people in the eye? Today, we’re going to be discussing a negative pattern that profoundly affects many of us on a daily basis: avoiding eye contact. I always encourage new viewers to subscribe to my YouTube channel because we are always releasing new informational videos that can significantly benefit you in multiple areas of your life. Eye contact, for example, is a part of normal interaction that affects every human being on the planet . . . and odds are that even if you don’t have issues with it, you probably have a friend who does. Through this channel, we work to spread the message of self-love, self-compassion, confidence, and boldness—subscribing allows you to keep on top of our latest releases so you can stay ahead of the game and help us spread the word to others! So, eye contact: this is a topic I struggled with for years. In this struggle, I came across several tips and tricks, such as exposure, that helped a little bit, but didn’t really solve my problem on a deep level. If maintaining eye contact is a problem for you, the only way you’re going to solve it is to address the source of it. Often, when I talk one-on-one with clients about their difficulty with eye contact, we discover that their issue is actually with self-esteem. They can look friends in the eye, but they can’t look their boss in the eye; they can look their sister in the eye, but they can’t look a woman their attracted to in the eye. These aren’t eye contact problems—they’re self-esteem problems. When you make eye contact with someone, you’re truly seeing them and they’re truly seeing you. That can be scary because you know they’re more likely to notice your underlying emotions and see what you’re really thinking. This fear of allowing someone else into your world only occurs when we don’t think that much of ourselves—when we believe they’re going to discover something they won’t like. We avoid eye contact with people during power struggles or potential intimate encounters because we believe that if other people saw what lay under the surface, they’d think less of us. That’s all in your mind, and it’s all based on your relationship with yourself. If you think of yourself as ugly or fat or unmotivated or depressed, then that is what you’re projecting into the world and what you believe others will think about you if they get a chance to really look into your eyes. As a result, we cower when faced with strong eye contact, believing that we’re not worthy. Sadly, this behavior just perpetuates a cycle in which we cower from meaningful connection, force people to question their faith in us, and further enforce our belief that we’re not worthy. In my research on this topic, I’ve also come to understand that another reason we tend to fear eye contact is that we believe something bad will happen as a result of it: if it’s someone attractive, that person might get creeped out; if it’s someone in a position of power, they might think it’s a confrontational challenge. Again, what we’re really dealing with here is a lack of self-esteem. Let’s say you’re looking at someone you’re attracted to: firstly, you’re going to have to make eye contact if you want to have any hope of expressing your interest in that person. Secondly, though, why should looking that person in the eye make them think you’re creepy or offensive or repulsive? Why would you automatically assume that your attention should be considered a negative thing? The answer: because you still don’t think much of yourself. That’s why, after years of noticing this pattern emerge in my work with personal clients, I developed my program, The Confidence Code, which is designed to give people the exact skills they need to make eye contact, connect with others, have conversations, and generally create social mastery. 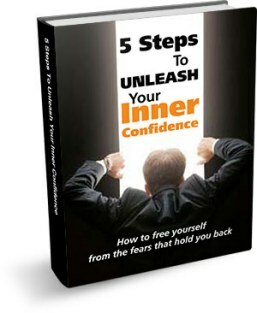 This program, which comes along with a free e-book, can be found by accessing YourConfidenceCode.com. To a certain extent, I knew that the program would be wildly successful in helping people overcome major hurdles in their lives. But I also knew that the key to attaining ultimate self-confidence was to address self-image first and foremost. Hence, I dedicated the entire first half of the program to building self-esteem and transforming the way you see yourself. You can collect all the tools in the world, but nothing is ever going to change until you transform the way you communicate with yourself. The third trigger for many people when it comes to avoiding eye contact is that they desperately want to avoid confrontation. Now, you can certainly cause confrontation with eye contact if that’s what you’re trying to do, but I can personally guarantee that—barring emotional instability on the part of the other person—casual, relaxed eye contact is not going to lead to a confrontation. Don’t believe me? Go test this out: the next time you’re out and about, casually make eye contact with ten other people who you are in no way attracted to. If you’re a man, aim for eye contact with ten other men (as I have found that these are the connections my clients worry about the most). Just have a relaxed expression on your face like, make eye contact, and then go about your day. The confrontation issue is just a story you’ve created in your head, and as you move through this practice, you’ll see that it’s absolutely not true. The truth is this: when you make eye contact with people, they actually like it. Deep down, every human wants love and human connection. It nourishes us; it feeds our souls. Perhaps the form of love that’s most desired, however, is attention. We all want attention. This fact may be more obvious in little kids, but it doesn’t stop just because we grow up. Think about it this way: when you come home from a long day at work and want to talk to your spouse, how does if feel when he or she only gives you a bit of attention, responding to you with “Uh huh,” and not really looking at you? It feels awful, right? On the other hand, how great does it feel when the people we love (and everyone else) respond to our communication by putting down their distractions, looking us in the eye, and engaging in the conversation? It feels amazing. Your eye contact is a gift. The first step in addressing your inability to see it that way is to ask yourself why you can’t and to do something about it. In order to solve your eye contact problem, you must first address your self-esteem issues. 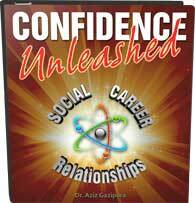 There are hundreds of books and videos on this subject (many of which you can find via my site, SocialConfidenceCenter.com), but you can also access more personalized and interactive measures, such as my program, The Confidence Code, or my podcast, Shrink for the Shy Guy. There are a million resources out there to help you take the leap into greater self-esteem, so get out there, find the solution that works for you, and apply the tools that will help you succeed. Within no time, you will begin to notice your eye contact problem fading into the distance. Please share your experiences with eye contact and self-esteem work below! What is your current relationship with yourself? What eye contact situations trigger you the most? What strategies and exercises have you found to be most helpful? By sharing your thoughts, we increase our potential to rise together and accomplish greatness!